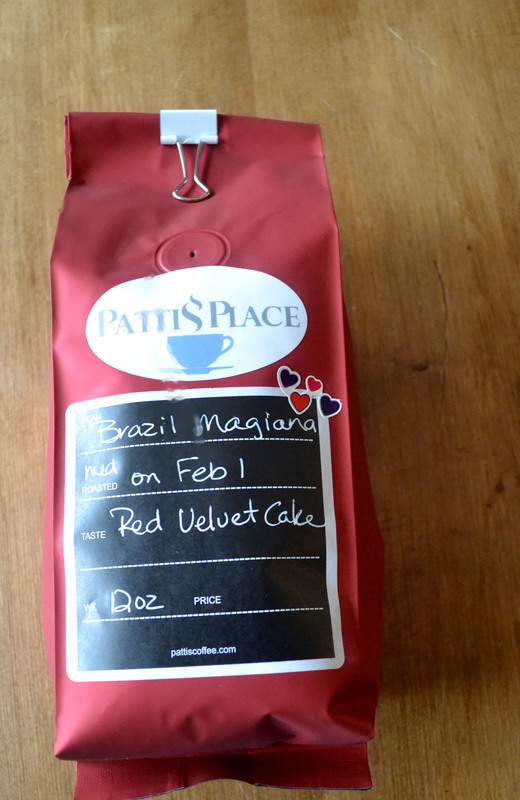 This is Red Velvet Cake Coffee, also known as your best morning ever. There is a merriment that happens while enjoying the company of a fine cup of Joe. Like the best sort of relationships, it keeps you guessing, and engaged. A great pal, never dull, and undefined by a singular sip. There are layers to its personality. And if you are truly good chums you know what it takes to bring out the very best in Joe, be it a little cream and sugar or absolutely nothing. Patti Snell is a coffee matchmaker. Tell her what you’re looking for in a blend and you’ll know what a coffee soul mate really is. Maybe you will find your love in her famous Maple Nut Crunch, or get some caffeinated healing from Nurse Pepper. Those don’t tickle your coffee cup, she’ll get a blend going just for you my coffee companion. She doesn’t stop with coffee. 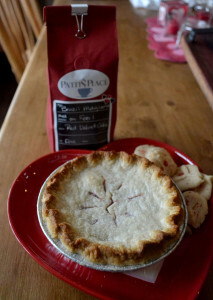 Patti’s got a whole gamut of teas and baked goodies to boot. Currently she is trying her hand with jellies, infusing beer and teas into the sweet mix. There’s even a jelly with Buffalo Bayou Red Velvet Stout mixed with her Lovers Cup Tea in the works. Brie and crackers won’t stand a chance. But it was the bag of beans entitled Red Velvet Cake that peaked my curiosity. A 12oz bag of exquisiteness will run you 13 bucks on her website. Plus, a dozen of the cutest, butteriest, tastiest heart shaped cookies you ever did want to see come with the order. And these are made from scratch of course. Bonus. But back to the velvet which is red. 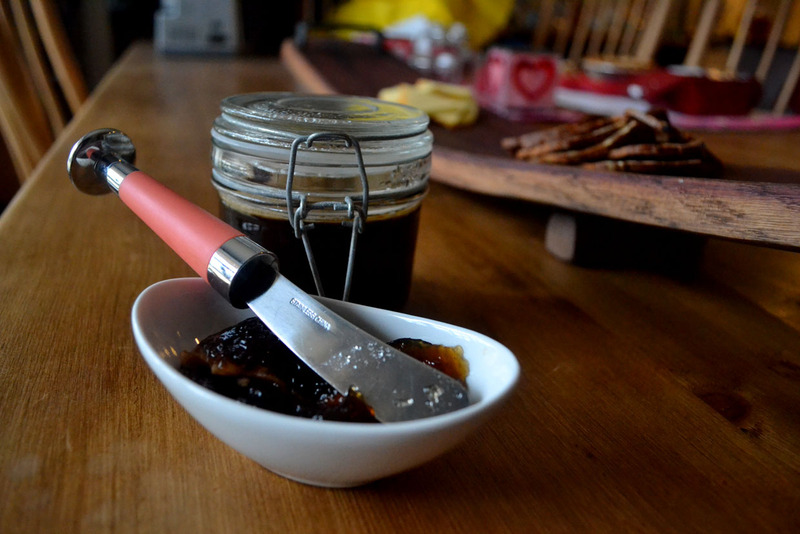 Red Velvet Stout infused tea jelly coming to a cheese and cracker near you. 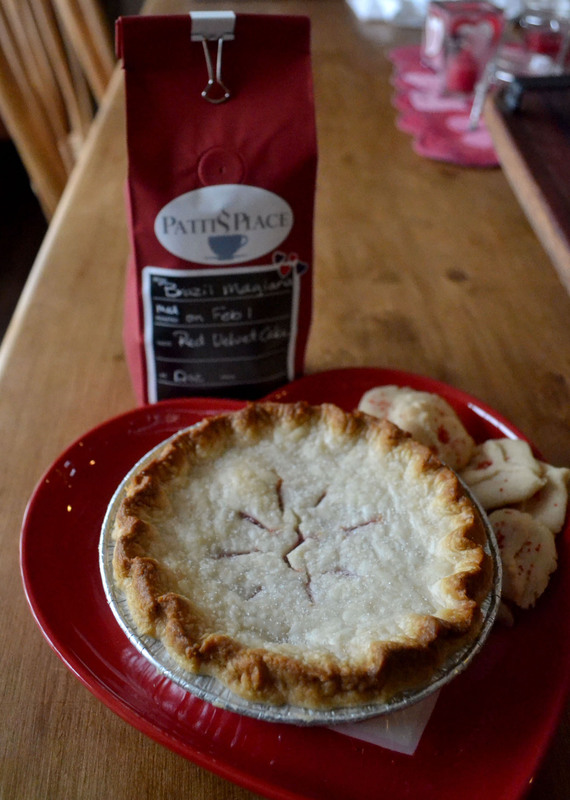 Red Velvet Coffee, Patti’s Cherry Pie, and those tasty shortbread cookies.